As one of the largest open cut mining contractors in Africa, Moolmans mines up to 20 million tonnes of material each month. Our experience operating in remote and challenging locations, together with extensive human and equipment resources, ensures delivery of a world-class mining service. 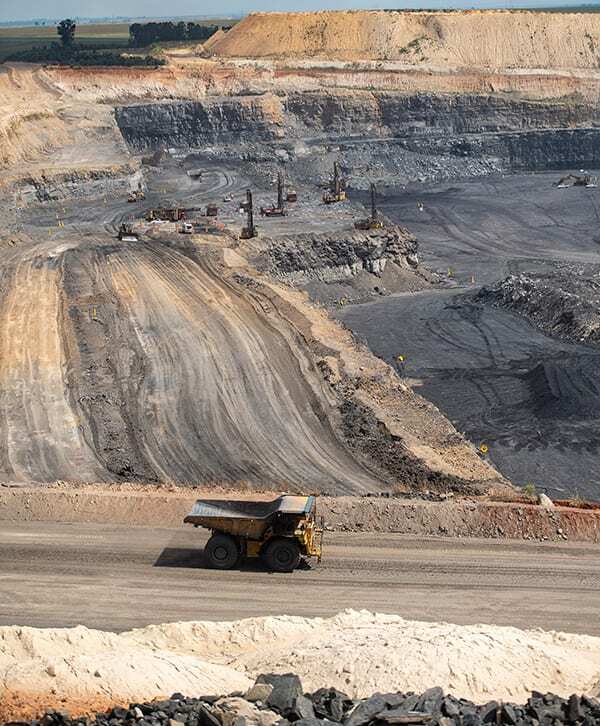 Moolmans offers a complete open cut mining capability, with over 40 years’ experience in both hard and soft rock environments, from short-term waste mining and bulk earthmoving to a complete and long-term mining solution. In addition to drill, blast, load, haul and dump functions, Moolmans is well placed to provide mine planning, surveying, production scheduling and grade control services. Wherever the location, we can mobilise quickly and arrive on site with the appropriate resources to establish and develop operations to the client’s requirements. We have worked and are currently working on a number of projects throughout Africa and have mined a range of commodities for a variety of reputable clients. Our company is a major force in surface mining in Africa.